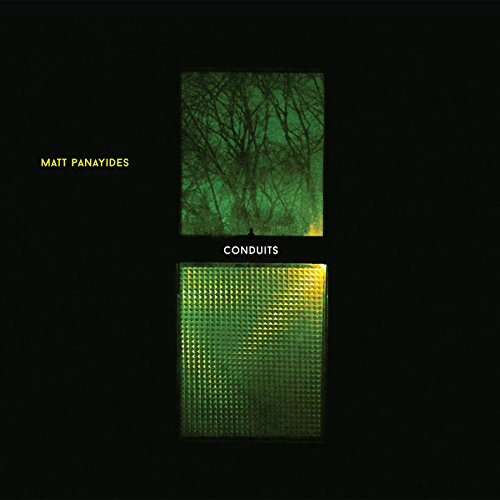 Matt Panayides is a guitarist, composer and educator. Based in the NYC area he is busy performing, teaching, collaborating and writing music. New duo track from McGinley Square Pub! March 8th Cornelia Street Cafe Performance Announced! Matt Panayides group will perform at Cornelia Street Cafe March 8th at 9:30pm with Rich Perry, Bob Sabin and Mark Ferber. Playing music from recent release "Conduits". Check out my tune from the recent release "Conduits". This is from Spectrum in NYC with Rich Perry, Bob Sabin and Mark Ferber. It was good to talk to Carl and to give him an update about my new album "Conduits". I first spoke with Carl back in June in the final days of my Kickstarter campaign when I wasn't sure if I was going to make the goal or not. So it was great to catch up and talk a bit more about the album now that it's finished. We also touched on subjects about my music in general, and a bit about the process of improvisation. You can listen to our conversation below. Check out his website where he presents all kinds of music from every possible genre and angle. Playing tonight at Tomi Jazz! Looking forward to making some music tonight (8pm-11pm) at Tomi Jazz with bassist Bob Sabin and saxophonist Jason Rigby. We will be playing original music from my recent release "Conduits". Tomi Jazz is a great intimate venue with fabulous food and drinks located at: 239 E 53rd St #3, New York, NY 10022. No cover, hope to see you there! Took a minute there, but my album is now available for download on iTunes! Check out the link above. Great to play at Spectrum! Despite the bitter cold, we had a great time performing at Spectrum last night in celebration of the new CD! Video will be available soon. Special thanks goes out to: Rich Perry, Robert Sabin, Mark Ferber, Tom Halpenny, Mike Wilkens, Sibel Aydemir Wilkens, Jacob Horowitz, Jonathan Heagle, Glenn Cornett, Eva Scroggins and HyeSeon Hong. I've uploaded a few tracks from my new album "conduits" for you to listen to and also posted a few new videos. It is now easier then ever to purchase my CDs directly through my website using Paypal. Getting geared up for the big gig next Thursday night at Spectrum. Looking forward to performing my tunes tonight at Tomi Jazz joined by greats Thomson Kneeland and Rich Perry. One long set from 8pm-9:20pm. New album about to be released in January! Finally all of the elements of my recording that I have been working on since, well I guess the last few years when talking about the writing process, are coming together. The past several months since starting the Kickstarter campaign back in May have been really busy. Since laying the tracks down back in early June at Bunker Studios, Aaron Nevezie has done some amazing mixing, Randy Merrill has done some great mastering work, and Mike Choo has designed some beautiful art work for the CD itself reflecting the spirit of the music. It will be released on the Pacific Coast Jazz label. Stay tuned for details about the CD release show! Added a teaser track, only a rough mix but gives a sense of the vibe! Finally got them out, psyched to share this new music! Check out Kickstarter Video here! New March dates @ Medley's! Three new special dates at Medley's in March where I will lead duos and trio's at this great jazz restaurant in Linden, NJ. I've been performing at this spot since the summer, and they're really starting to step it up and get it together! They serve great soul food, and the vibe is very nice for listening to music. I will be bringing in some fabulous musicians to play with....details to be posted soon. Come join 3/7, 3/15, 3/21.